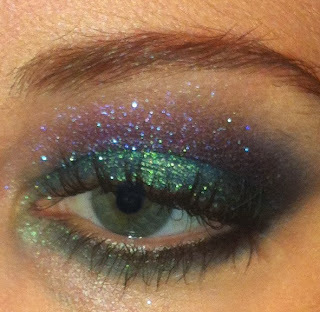 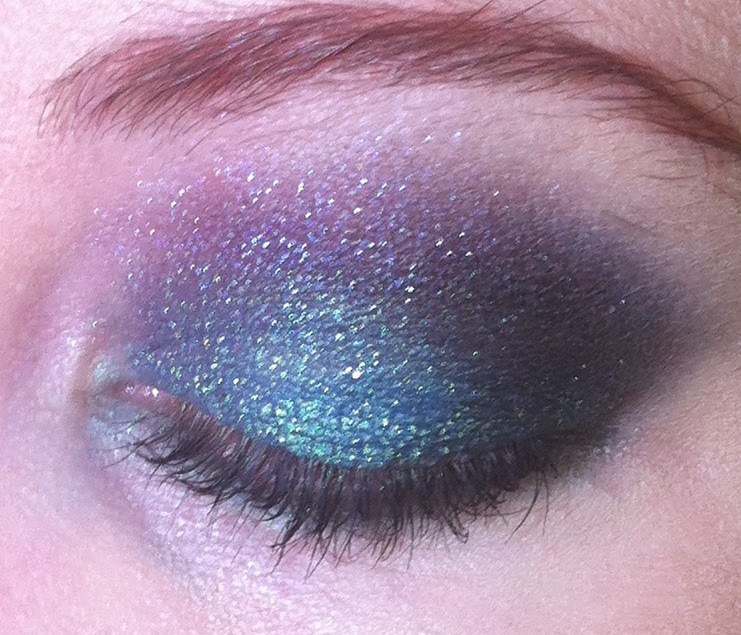 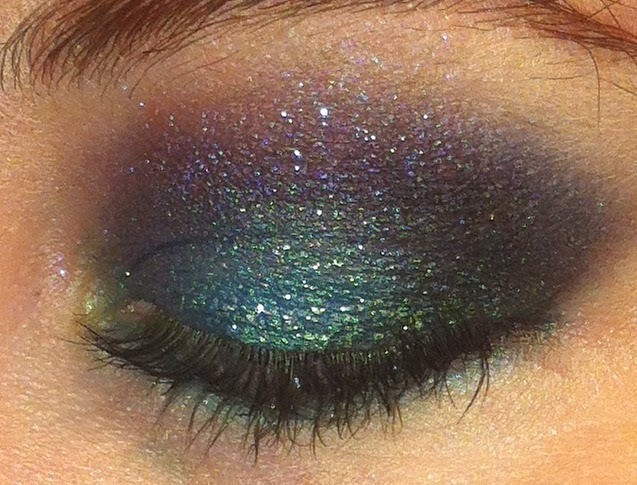 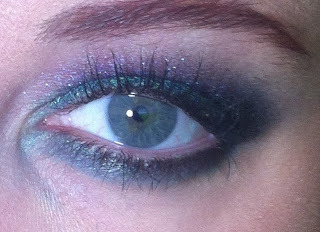 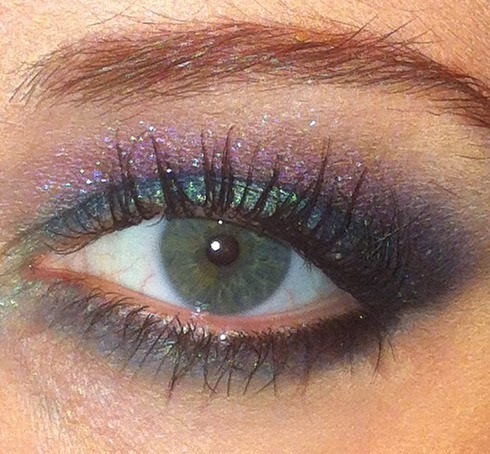 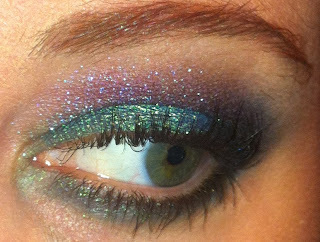 Colorful, dramatic, slightly smokey, and very sparkly eye of the day! 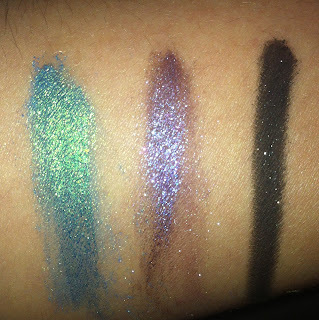 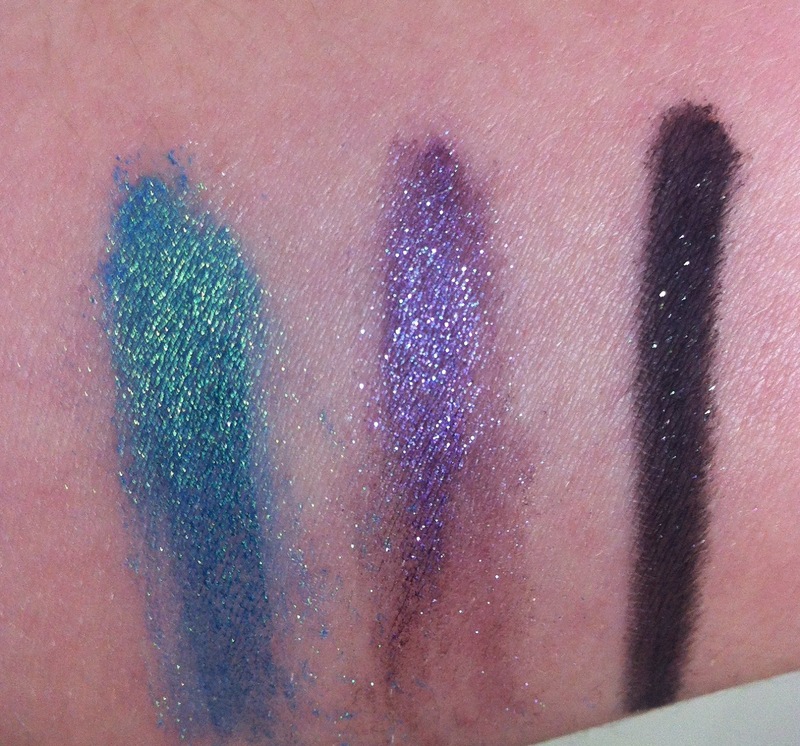 I used Darling Girl loose shadow in Leviathan (shimmery duochrome teal with gold sparkles), Darling Girl loose shadow in Here's Johnny (plum with pink and aqua sparkles), and Miss Sparkle (sparkling black) from the Too Faced Pretty Rebel Palette. Have a gorgeous day, and thanks for visiting! 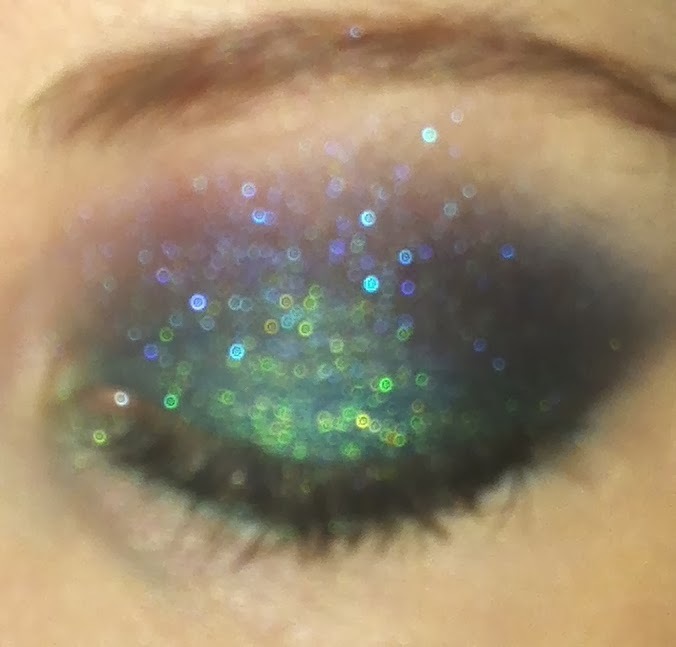 Ooh, very pretty. 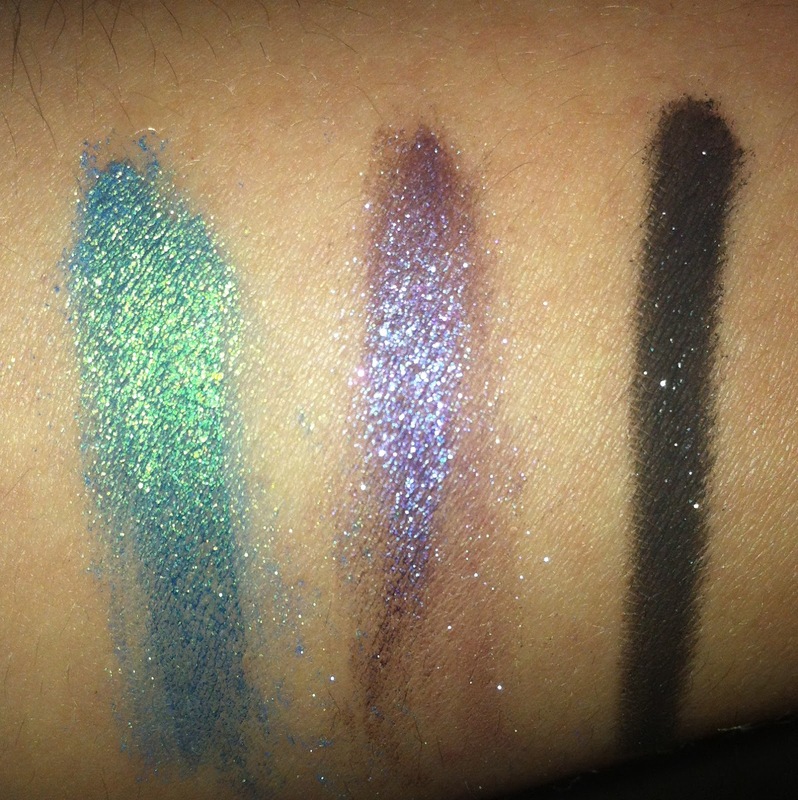 I'll have to look up Here's Johnny next time I order from DG. 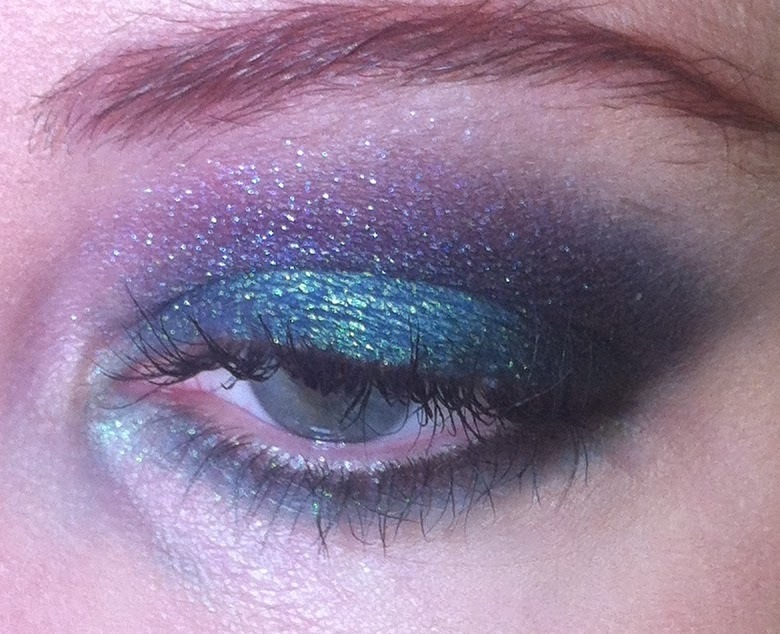 Here's Johnny has turned into one of my very favorite shadows that I own.